What can be done to increase college enrollment in the Hispanic community? Community leaders can engage with and financially support organizations like the Hispanic Scholarship Fund (HSF). With more than $430 million in scholarships awarded since its founding in 1975, HSF continues to provide increasing numbers of students all the tools they need to help lead our nation going forward and mentor the generations to come. Take every opportunity to mentor students, speak at your local high schools, churches, and get involved with Hispanic youth organizations. Get started during Hispanic Heritage Month (September 15-October 15), a great opportunity to highlight the resources available for Hispanic students, and recruit young Hispanics to be the first in their families to go to college. What are some of the shortcomings of diversity efforts by university admissions offices? Recruiting and enrollment efforts do not reflect the level of Hispanic population growth. In many cases, the selection teams are not diverse, and they do not understand that we cannot compete globally unless we educate our diverse Hispanic population. Our investment in them will contribute to our nation’s economy and our national security. What should be done to offset this deficit? Society as a whole has to support educators who are teaching our children. It truly takes a village to educate them. Cookie-cutter programs eliminate the opportunity for teachers to be creative in their classrooms. According to the Pew Research Center, “Latinos continue to lag other groups when it comes to earning a bachelor’s degree. In 2012, 14.5 percent of Latinos ages 25 and older had earned one. By contrast, 51 percent of Asians, 34.5 percent of whites and 21.2 percent of blacks had earned a bachelor’s degree. Hispanic college students are also less likely than whites to enroll in a four-year college, attend a selective college, and enroll full-time.” We have to change that dynamic. In terms of skill and qualifications, Elizabeth Oliver-Farrow was similar on paper to anyone else in the communications industry when she started her career. Then she hit a glass ceiling. It quickly became apparent that, for a woman from the South Bronx born to Puerto Rican immigrants, prejudices are not so easily discarded. Rather than remain trapped under corporate expectations, Oliver-Farrow decided to strike out independently. 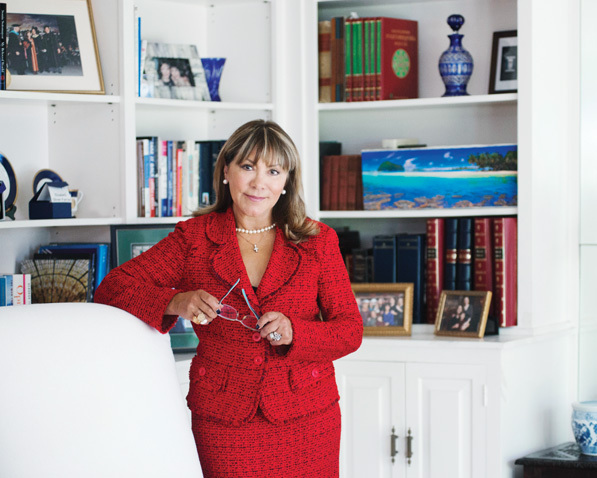 She had limited financing options, but a keen insight and sheer determination would propel her to found three companies, including The Oliver Group, Inc., where she currently serves as president and CEO. The Small Business Administration reported in 2013 that Hispanics were opening businesses at a rate three times higher than the national average. Oliver-Farrow has more than 40 years of experience in public relations, marketing, and production. She has also served on several corporate boards and nonprofits, such as the USHCC, Care First, Inc., and the NEA Foundation. As a recognized leader both in the Hispanic community and in her industry, she believes many Hispanics open their own businesses because, like her, they want to bypass the corporate ladder and achieve their dreams. “Challenges within the corporate structure may obstruct access to the top [for Hispanics], because they may lack the right credentials or networking opportunities,” Oliver-Farrow explains. People of color face challenges that are often compounded for minority women like Oliver-Farrow. Women are perceived to focus more on family than on work and have a relatively short history in the American business climate. Oliver-Farrow remembers a meeting she attended at the Pentagon in which her client assumed she was the company secretary. Oliver-Farrow advises young entrepreneurs who want to mimic her success to find a field about which they are passionate and ask themselves key questions about who their competitors and customers could be. Another important consideration for prospective business owners to keep in mind is their idea of success. Many millennials value work-life balance more than generations before them, which Oliver-Farrow defines as a healthy goal. Her advice is simply to be aware that their definition and expectation of success may vary from that of their senior coworkers.